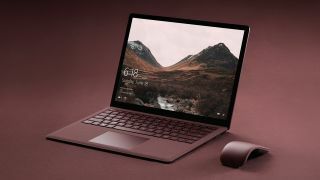 Microsoft is in fresh hot water on the privacy front, with the apparent revelation that the data Windows 10 collects on what you’ve been doing on your PC is stored in the cloud – even if you’ve told the operating system not to upload it. This issue was flagged up by a Reddit user (as spotted by How-To Geek), and it’s quite easy to check it for yourself on your Windows 10 PC. Simply head into Settings > Privacy, and click on Activity History in the left-hand sidebar. Activity History records what you’ve been doing on your PC with apps, documents, and so forth, assuming that you allow Windows to collect information on these activities by ticking the relevant box. However, there’s also a box to ‘Let Windows sync my activities from this PC to the cloud’, and this is where things get thorny. Even if you’ve left this unchecked – in other words, you don’t want Windows to sync what you’ve been doing to the cloud – the operating system still goes ahead and does so. You can see a record of your activities online – even if said box is unchecked – by clicking on Privacy Dashboard (top-right, under ‘Know your privacy options’). You may have to log into the Microsoft account linked to your PC (if you aren’t already signed in), and after doing so, when you click on the Activity History tab, you’ll be presented with a full list of your activities. The apps you use, the website you’ve visited, and so forth. Just to underline that all this is recorded in the cloud even if you haven’t ticked the box to allow Microsoft to do so – and we all know there’s a world of difference between storing data on your PC, and online. Even worse, if you click the Clear Activity History button on the Windows 10 Activity History page under Settings, these details held in the cloud aren’t actually deleted at all. They remain present on your online Privacy Dashboard. So what’s really going on here? In short, this is all a rather confusing mess. There has been some speculation that this happens because folks have got their Windows 10 diagnostic data set on ‘full’ – this is another privacy-related option under Settings > Privacy > Diagnostic & Feedback – but the problem is evident on our PC, and we are set to ‘basic’ for diagnostic data (which doesn’t allow for sending info about the apps used, websites visited and so on). So this certainly seems like something Microsoft should address pronto, because in recent times, the company has been driving ahead with a major effort to make things more transparent on the privacy front where Windows 10 is concerned. Historically, the desktop operating system has not had a good track record on this front. Plus, incidents like this really don’t help reinforce any trust or goodwill Microsoft is attempting to accumulate when it comes to taking care of user data in a responsible manner. The relevant settings need to be adjusted so they actually work correctly, which doesn’t appear to be the case right now. This also highlights that the overall privacy settings still need a greater level of clarity (and should be collected all in one place), with it made easy for the user to see and adjust exactly what permissions they are giving Windows 10 concerning their data. Particularly when it comes to sending that data online. Update: Marisa Rogers, Privacy Officer, Windows & Devices Group at Microsoft, has been in touch and provided the following statement: “Microsoft is committed to customer privacy, being transparent about the data we collect and use for your benefit, and we give you controls to manage your data. In this case, the same term ‘Activity History’ is used in both Windows 10 and the Microsoft Privacy Dashboard.